The Address Delivered in St. Paul's Cathedral in Buffalo on January the Third, MDCCCXC, on the Occasion of a Commemorative Service of Praise and Thanksgiving for the Completion of Five and Twenty Years of the Second Episcopate of the Diocese of Western New York. Buffalo: Matthews, Northrup & Co., 1890. 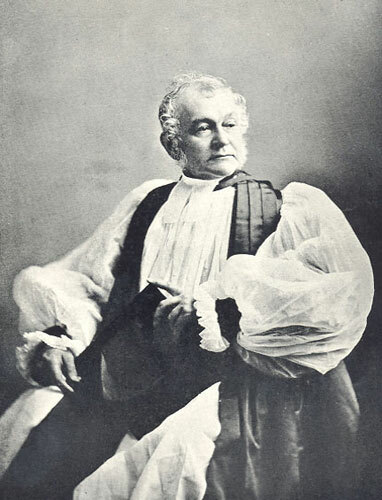 Arthur Cleveland Coxe, Second Bishop of Western New York. Memorial Sermon. S. Paul's Church, Buffalo, October 5, 1896. Buffalo: Printed for the Council, 1896. The Faithful Witness: Or, The Pastoral Work and Character; As Exemplified in the Life and Death of William Croswell, D.D., First Rector of the Church of the Advent, Boston; Being A Sermon Preached in Said Church on the First Anniversary of His Death, November 9, 1852; By A. C. Coxe, M.A., Rector of St. John's Church, Hartford, Conn.
Papers of the Russo-Greek Committee of the Protestant Episcopal Church (Coxe was a prominent member of the Commiteee). Preface to Mozarabic Collects Translated and Arranged from the Ancient Liturgy of the Spanish Church by the Rev. Charles R. Hale, S.T.D. New York: James Pott, 1881. St. Jonathan: The Lay of a Scald. Athanasion: An Ode Pronounced before the Associate Alumni of Washington College, in Christ Church, Hartford, on the Day before Commencement, 1840. Hartford: Published by the Association, 1840. New York: Wiley and Putnam, 1840. Athanasion. Second edition, with Notes and Corrections. Also, Miscellaneous Poems. Revivalism and the Church: A Letter to a Reviewer, in Reply to several Articles in the New-Englander. Repentance, the Acceptable Thanksgiving: A Sermon, preached in St. John's, Hartford, by the Rector, on the Feast of St. Andrew, 1843, being the Day Appointed by his Excellency, the Governor of Connecticut, as a Day of Thanksgiving and praise to Almighty God, for the Fruits of the Earth, and All the Other Blessings of His Merciful Providence. The Sermon Preached at St. John's, Hartford, on Sunday, the Fourth after Epiphany, January 28, 1844, at the Funeral of Sarah Montague, the Wife of Jared B. Flagg, Esq. Hartford: Case, Tiffany and Burnham, 1844. Halloween: a Romaunt, with Lays, Meditative and Devotional. Help the Household of Faith: A Sermon Preached in St. John's, Hartford, October 11, 1846, Being the Eighteenth Sunday after Trinity, When an Offering was Made in behalf of the Mission at Constantinople. Hartford: Belknap and Hamersley, 1846. Seventy Years Since, or What We Owe to Bishop Seabury. Hartford: S. Hammer, Jr., 1848. The Rural Pastor: Sermon, Branford, Oct. 5, 1849, at the Funeral of Rev. Frederick Miller. Hartford: Case, Tiffany and Company, 1850. A City not Forsaken; Or, The Church Vindicated and Consoled: A sermon preached in St. John's Church, Hartford, on Advent Ember Sunday, December 16th, 1849. From The Colonial Church Chronicle and Missionary Journal, Vol. IV (August, 1850), pages 72-74. From The Colonial Church Chronicle and Missionary Journal, Vol. IV (January, 1851) pages 259-262. The Priesthood and the People: A Sermon, Preached at Bradfield, on Trinity Sunday, June 15, 1851, on Occasion of the Bishop of Oxford's Ordination. The Commemoration of the Faithful Departed: Being Some Account of the Services in the Church of the Advent, Boston, Mass., on Tuesday, the 9th of November, 1852, one year after the decease of the Late Rector, the Rev. William Croswell, D.D., with the Sermon Preached on that Occasion. A Pastoral Letter to the Parishioners of St. John's Church, Hartford, Easter, 1854. Hartford: Case, Tiffany and Company, 1854. A Sermon Preached in Grace Church, Baltimore, on Sunday, March 25, 1855, being the Festival of the Annunciation B.V.M. Baltimore: James S. Waters, 1855. Impressions of England; Or, Sketches of English Scenery and Society. Lettre à Monseigneur Parisis, évêque d'Arras, sur les erreurs historiques qui existent dans la communion romaine, a l'égard de l'église anglicane. The Rule Distributed of God: A Sermon Preached at the Institution of the Reverend Arthur Cleveland Coxe into the Rectorship of Grace Church, Baltimore, on the twenty-fourth Sunday after Trinity, November 2, 1856. Sermons on Doctrine and Duty. An Apology for the Common English Bible and a Review of the Extraordinary Changes Made in It by Managers of the American Bible Society. The Uses of Music: An Address, delivered at the First Public Rehearsal of the Utica Musical Academy, February 5, 1858. With an Appendix Containing a Historical Sketch of the Academy, Its Constitution, Names of Officers, and Catalogue of Members. The Church and the Press: Or, Christian Literature the Inheritance of the Church, and the Press an Educator and an Evangelist. Fixed Principles, or The Laws of Christian Unity Compared with Schemes of Sectarian Union. Thoughts on the Services designed as an Introduction to the Liturgy, and An Aid to Its Devout Use. New York: D. Dana, Jr., 1859. London: S. Low, Son & Co., 1859. Truth and Our Times: The Baccalaureate Sermon, Preached in Calvary Church on Sunday Evening in Commencement Week, June 21, 1863, before the President, Professors, and Students of Columbia College, New York, and More Particularly Addressed to the Graduating Class. New York: C.A. Alvord, 1863. Unjust Reproaches in Public Calamity, Viewed as Part of the Divine Discipline: A Sermon Preached in Calvary Church on the Day of National Thanksgiving, Nov. 26, 1863. Parting Counsels: A Sermon, Preached in Grace Church, Baltimore, on Septuagesima Sunday, February 1, 1863. Baltimore: Printed for members of Grace Church, Joseph Robinson, printer, 1863. The Ministry Every Christian's Business: A Sermon preached before the Society for the Increase of the Ministry, in Grace Church, Providence, R.I. on the Evening of Tuesday, October 6th, 1863. New York: W.H. Kelley, 1864. Episcopal Address to the Annual Convention of the Diocese of Western New York, August 17, 1865. Utica: Curtiss and White, 1865. The Church and the Nation: An Exposition of the Character and Action of the Late General Convention. Scriptural Bishoprics: A Sermon at the Consecration of John Barrett Kerfoot as Bishop of Pittsburgh, in Trinity Church, Pittsburgh, 1866. The Criterion: A Means of Distinguishing Truth from Error, in Questions of the Times. With Four letters on the Eirenicon of Dr. Pusey. New York: H.B. Durand, 1866. Ritualism: A Pastoral Letter, including an Exposition of the Declaration of Bishops. New York: H.B. Durand, 1867. Practical Wisdom in the Planting of a Church: A Sermon preached at the Consecration of the Second Bishop of Vermont, Whitsun-Week, June 3, 1868 in Christ Church, Montpelier. The Choice of a Bishop on Scriptural Principles: The Sermon Preached at the Opening of the Primary Convention of the Diocese of Central New York, Nov. 11, 1868. Utica, New York: Curtiss and Childs, 1869. Moral Reforms Suggested in a Pastoral Letter With Remarks on Practical Religion. The Glory of Christ as Manifested in a Faithful Episcopacy: The Sermon in Emmanuel Church, Boston, at the Consecration of F.D. Huntington, April 8, 1869. Utica: Curtiss and Childs, 1869. The Vatican Council: A Letter to Pius the Ninth, Bishop of Rome. The Signs of the Times as Connected with the Vatican Council: A Series of Lectures Delivered in Rochester, and Other Places. Prophecy and Our Own Times: Two Lectures. Buffalo: Breed, Lent and Co., 1871. Apollos: or, The Way of God: A Plea for the Religion of Scripture. An Office of Devotion for Use in Schools. The Corporate Witness: A Sermon Preached in St. Paul's Church, Erie, in the Diocese of Pittsburgh, on Wednesday, December 31, 1873, at the Consecration of John Franklin Spaulding, D.D., as Missionary Bishop of Colorado. Buffalo: Matthews and Warren, 1874. Catholics and Roman Catholics. By An Old Catholic. [Arthur Cleveland Coxe] Being a Review of the Lecture, Lately Delivered in Buffalo, by the Rt. Rev. Dr. Ryan, Etc., Etc., Etc. Covenant Prayers: Short Forms for Family Prayer, with Special Reference to the Christian Covenant and the Promises of our Saviour. A Tower of Memories. A Sermon Preached in St Peter's Church, Albany, on the Dedication of a Memorial Tower to John Tweddle. Michaelmas, 1876. The Ladye Chace: A Ballad. Restoration in Mexico: A Sermon Preached in Trinity Church, Pittsburgh, on the Festival of St. John Baptist, June 24th, 1879, at the Consecration of the Rev. Henry Chauncey Riley. New York: Foreign Committee on the Board of Managers of the Domestic and Foreign Missionary Society of the Protestant Episcopal Church, 1879. The Preacher of Christ and the Elements of Genuine Success in the Christian Ministry: A Sermon Commemorative of the Rev. William Rudder, D.D., late Rector of St. Stephen's, Philadelphia. Philadelphia: E. Claxton & Co., 1881. The Penitential: A Book of Authorized Forms of Catholic Absolution and Confession and for the Self-discipline of Penitents, as Set forth in the Penitential System of the American Church. New York: E.P. Dutton, 1882. The Missionary Episcopate: A Sermon Preached at the Consecration of the Missionary Bishop of Northern Dakota, December 20th, 1883, in Calvary Church, New York. New York: no publisher, 1884. The Laity, Their Vocation and Ministry in the Church: The Sermon Preached at the Opening of the CI Convention of the Diocese of Maryland in St. Peter's Church, Baltimore, May 28, 1884. Baltimore: Published at the Request of the Convention, 1884. Institutes of Christian History: An Introduction to Historic Reading and Study. The History and Teachings of the Early Church as a Basis for the Re-union of Christendom: Lectures delivered under the Auspices of the Church Club, in Christ Church, N.Y.
New York: E. and J. B. Young, 1889. Holy Writ and Modern Thought: A Review of Times and Teachers. The Daily Round: Meditation, Prayer, and Praise adapted to the Course of the Christian Year. Work among the Jews: An Address in Behalf of the Church Society for Promoting Christianity amongst the Jews Delivered before the Missionary Council of the Protestant Church, held in Christ Church, Hartford, Conn., October 23, 1894. New York: Church Mission House, 1894. The Jesuit Party in American Politics Exposed and Expounded in Letters to the Ablegate. Boston: American Citizen Co., 1894. The Catholic Religion for the American People. The Sermon Preached before the General Convention, October 2, 1895, in Minneapolis. no place: Harrison and Smith, 1895. Hartford: Junior Auxiliary Publishing, 1895.